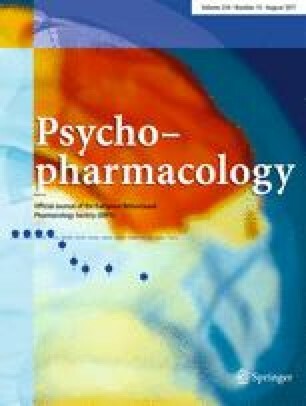 We have previously shown that a 60-g mixture of branched chain amino acids (BCAAs) lowers the plasma availability of the catecholamine precursors tyrosine (TYR) and phenylalanine (PHE) and produces biochemical and neuropsychological changes consistent with impaired dopamine neurotransmission. However, the BCAA mixture also lowers the ratio of tryptophan (TRP) to BCAA which could impair brain serotonin function. To determine the biochemical and neuropsychological effects of a BCAA mixture supplemented with TRP. We studied 32 healthy volunteers who were randomly and blindly allocated to either a single administration of amino acid mixture (60 g BCAA and 2 g TRP) or placebo. We carried out venous sampling to measure plasma levels of amino acids and performed selected cognitive tasks sensitive to monoamine manipulation 5 h after mixture ingestion. Relative to placebo, the BCAA/TRP mixture substantially lowered the ratio of TYR+PHE:BCAA and increased plasma prolactin. The ratio of TRP:BCAA was also lowered but to a lesser extent. The BCAA/TRP mixture produced significant changes in a task of decision-making where volunteers showed reduced discrimination between gambles with large and small losses. A 62 g BCAA/TRP mixture decreases the availability of TYR and PHE for brain catecholamine synthesis and increases plasma prolactin consistent with lowered brain dopamine function. Addition of 2 g TRP to the 60 g BCAA mixture does not prevent a reduction of the ratio TRP:BCAA relative to placebo. The effects of the BCAA/TRP mixture on decision-making suggest a general action of dopamine pathways on the processing of emotional information in risky choice, including punishment-related cues, consistent with suggestions that dopamine mechanisms mediate behavioural responses to aversive as well as appetitive stimuli in instrumental conditioning. The authors would like to thank John Odontiadis, Mike Franklin and Alison Reed for technical assistance, and Rena Hockney for nursing assistance. S.F.B.McT. and P.J.C. were supported by Medical Research Council. The study was supported by a research grant from the Stanley Medical Research Institute.